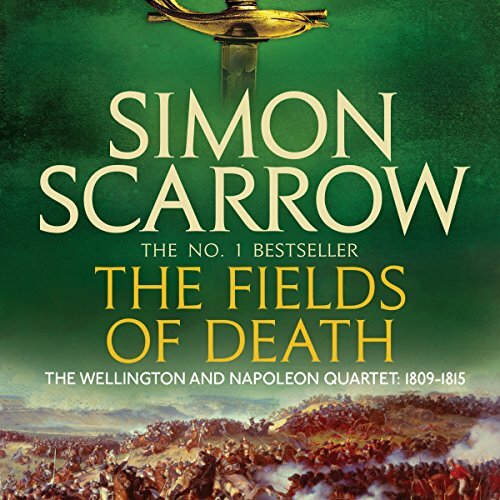 The Fields of Death is the epic final novel in Simon Scarrow's best-selling Wellington and Napoleon Quartet. 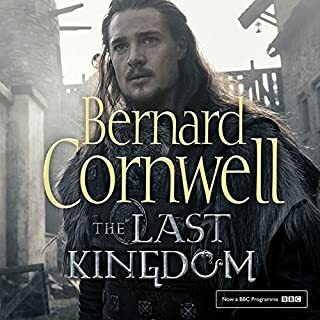 Essential listening for fans of Bernard Cornwell. 1809. Viscount Wellington and Emperor Napoleon Bonaparte have made their mark as military commanders. Lifelong enemies, they both believe their armies are strong enough to destroy any rival. But in war victory can never be certain. While Wellington's success continues in Spain, Napoleon feels the sting of failure. Yet despite a disastrous Russian campaign and humiliating defeat at Leipzig, he persists in fighting on. 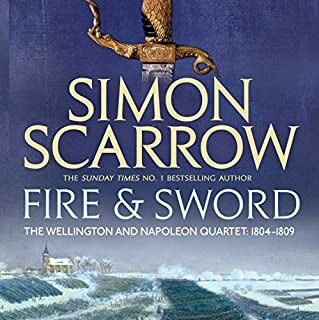 This is the fourth and final book of Scarrow’s Revolution Quartet. This book follows Napoleon’s battles with Austria and Russia and Wellington’s peninsular campaigns to the Battle of Waterloo. Scarrow is a master at writing historical fiction. He is such an easy writer to read as the prose flows so beautifully. His depictions of scenes and battles are historically accurate and hold my attention. I found these four books fascinating. I have been obsessed with this period in history since I was a child. Needless to say, I have read everything I can about the Napoleonic period. These four books cover so much detail they would be great to read many times. The book is well written and researched. Scarrow does an excellent job of placing the reader into the time frame of the story. Most of the story is historically accurate except for one item. 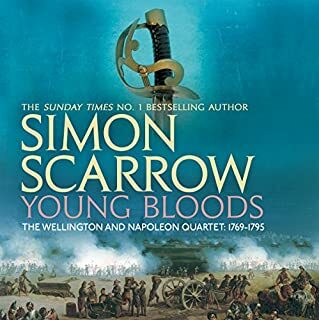 Scarrow has taken his creative prerogative and has Napoleon and Wellington meeting a day or so after the Battle of Waterloo. That meeting never took place. I used my iPad to google maps and battle maps of the various battles in the book. That made it easier to follow the story. The book is fairly long at twenty-three and a half hours. Jonathan Keeble does an excellent job narrating the book. Keeble narrated all four books. I have listened to him narrate many books over the years. He has a comfortable voice to listen to. This quartet of books on Wellington and Napoleon is amazing. Fantastic! I highly recommend it. I very much enjoyed this series of books. They were very informative and for someone who was not very knowledgeable regarding Napoleon and Wellington they did a great job of educating me. Most of all I appreciate the narrator. Keeble never fails to bring his characters to life. Very well done! This is fantastic and there is nothing like the books in this series. It is perfection to the highest degree. "You actually feel like you are standing in the room with the characters." I listened to all of them and I can't wait to do it again. By telling the history of Wellington and Bonaparte as a story rather than a dry lesson, it is much easier to understand the events and personalities involved. Extraordinarily well written and performed this four book series captivated me from start to finish. I would thoroughly recommend this series to both those interested in the events of the time and to people just wanting a great story. This whole series has been well written and engaging! It covers historical events which have always interested me and about which I have read widely. Instead of a catalogue of facts we have been treated to an insight to the private lives of the two key players, Napoleon and Wellington. I am almost saddened to reach the end despite the necessity. Jonathan Keeble is a new narrator for me and will now be among the few that "sell the book" as far as my choices are concerned. So engaging I could not help but be caught up in the excitement he conveyed. Bravo that man!! 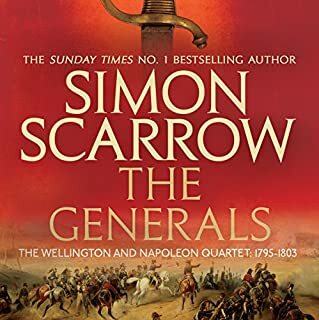 Thank you to both Simon Scarrow and Jonathan Keeble, now I must find more gripping audio books to fill the void Napoleon and Wellington will leave. Great conclusion to a well done series! 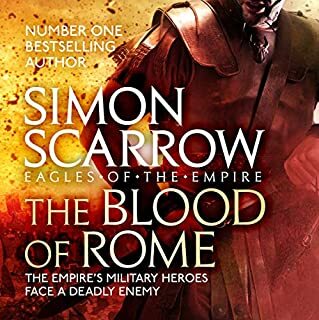 Simon Scarrow shines in this rendering of the end of the Napolonic wars. 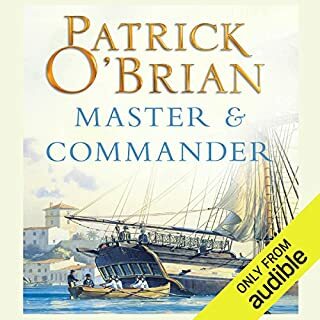 Well constructed from both sides (Napoleon and Duke of Wellington) this book was long but I️ seriously couldn’t stop listening til the conclusion of the Waterloo campaign. Plus Jonathan Keeble’s voice and incredible diction could make the ingredients on a soup can riveting.